Backstory: ﻿LOL Guy is a rage comic character that is often used to indicate laughter and general amusement. He captures the essence of laughing at a crude or rude joke. He can't be politically correct or else he'll be politically depressed. He's the devil on your shoulder that makes you laugh when you know you shouldn't. The image was initially posted to the /b/ (random) board on 4chan on June 14th, 2010. 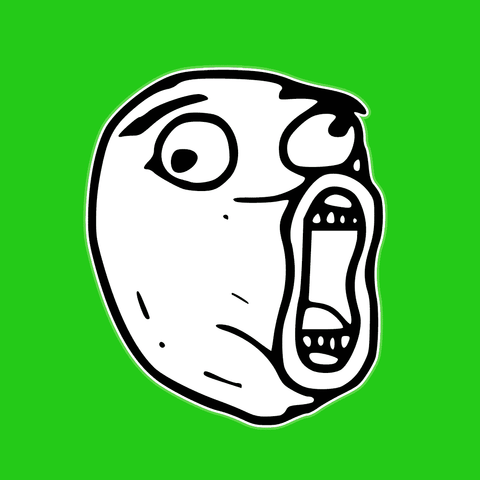 Rage Comics are series of web comics with characters, sometimes referred to as “rage faces” often created with MS Paint. The comics are used to tell stories about real life experiences, and end with a humorous punchline. 🤩DON’T JUST WEAR THE CELEBRITY, BECOME THE CELEBRITY - LOL Guy is a rage comic character that captures the essence of laugh at a crude or rude joke. He can't be politically correct at Halloween parties or festivals.